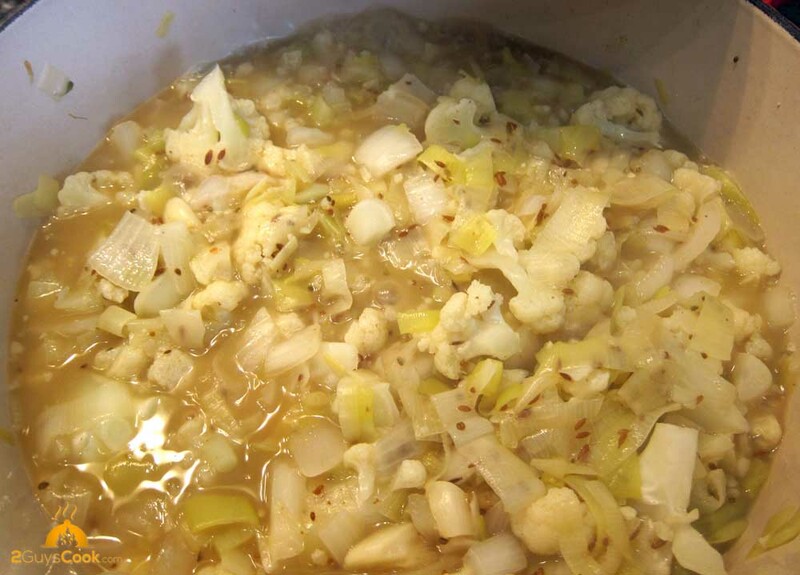 I am always amazed that pureeing cauliflower, onions and stock results in a silky, smooth and really rich feeling soup. It feels like it is jam packed with fat but it’s not. The Indian inspired spices make for a wonderfully supportive backbone to the luxuriously smooth consistency. Like a few of my recent posts, this is also a (nearly) free diet food. Chop (well cleaned!) leeks, onions and garlic to a medium dice. Heat ghee until hot. Add a few cumin seeds. 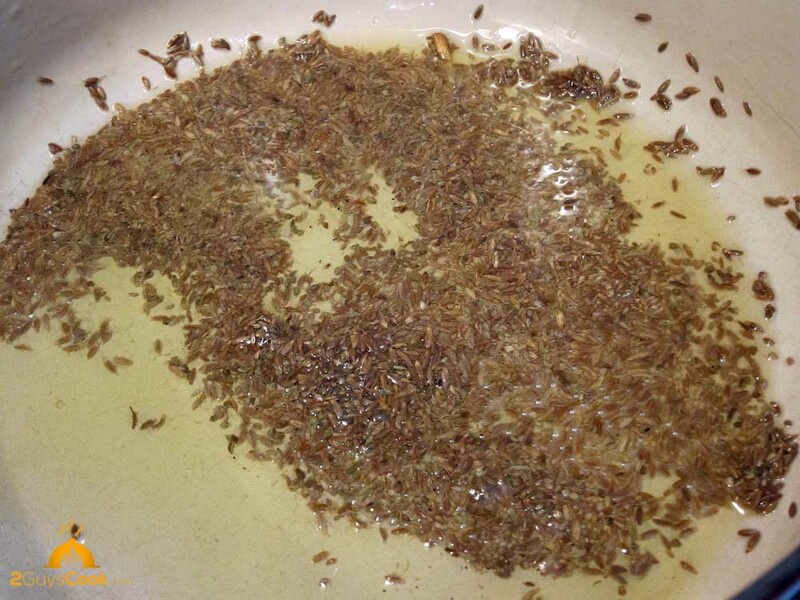 When they start to sizzle, add the rest of the cumin and ajwain seeds and cook until they begin to crackle. Add whole chilis, if using. 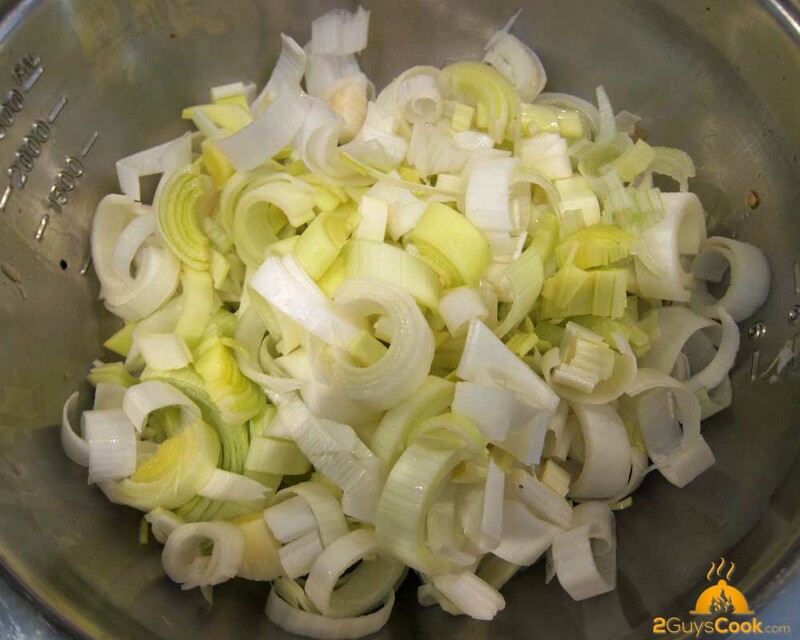 Quickly add leeks, onions, garlic and a little salt and cook over a low to medium heat until they begin to soften (5-10 minutes). Add ginger paste and cook until fragrant (~1-2 minutes). Add fenugreek, curry powder, chopped cauliflower and stock. Bring to a boil and simmer until the cauliflower is very soft (10-20 mintues). Cool. Puree in a blender until completely smooth. Add yoghurt, lemon and salt and pepper to taste. Chill. Clean leeks to remove any dirt/sand. Heat ghee or oil in a large pot until shimmering. Add a few seeds until they pop or crackle. Add the remaining cumin and ajwain seeds and stir until they crackle. If using chilies, add and stir for a few seconds. 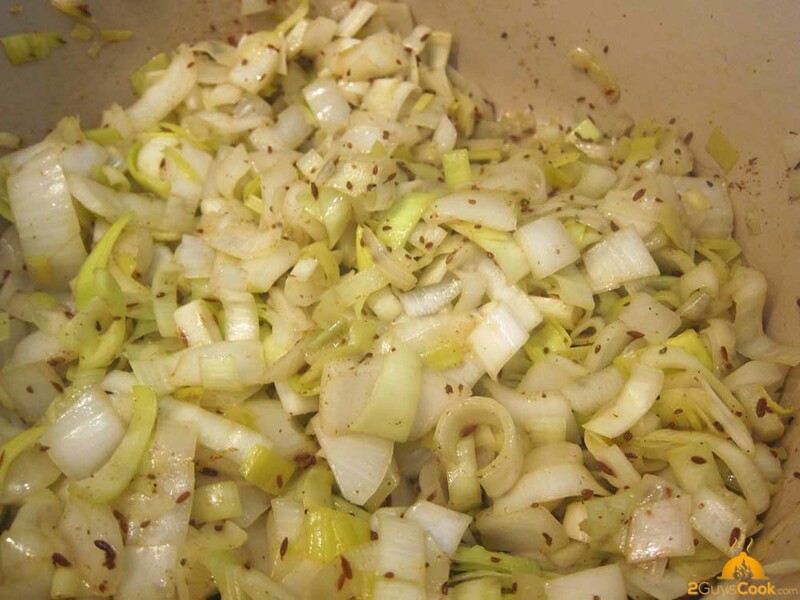 Add onions and leek. Turn down heat, add a little salt, pepper and cook until soft and translucent. Add ginger paste and cook for 1 – 2 minutes until fragrant. Add ground spices, mix and add cauliflower. Increase heat and bring to a boil. Decrease heat to a simmer and cook until the cauliflower is very soft. Turn off heat and allow to cool. 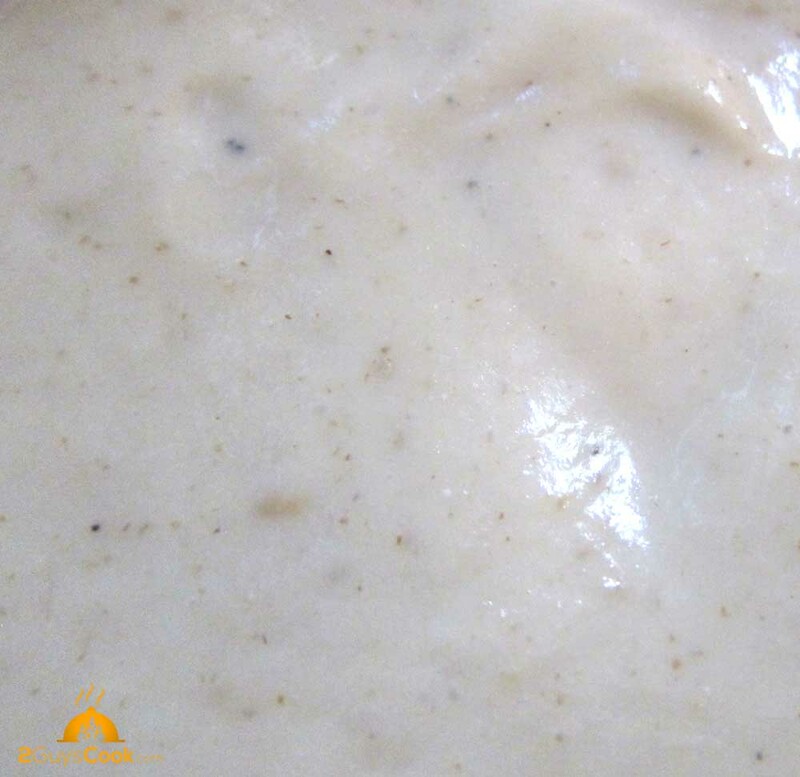 Transfer to a blender and puree until smooth. Add yoghurt, lemon juice and adjust seasonings to taste.